S/Sgt. Dewey C. Wall, son of Mrs. Aze Mae Wall, attended school in Spurtonburg, S. C.; husband of the former Juanita Williams. 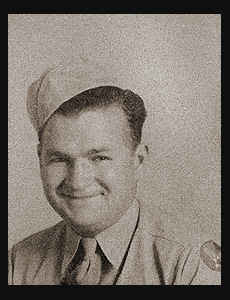 Entered Army in Aug., 1941, trained in Greensboro, N. C.; served in India, Burma and China; is now on duty in Shanghai, China. Awarded Good Conduct Medal, ETO Ribbon with four Battle Stars.